Kaitlyn has recently joined the Campus Estates team. She previously studied Zoology at the University of Guelph. Most recently, she worked at a humane society helping find homes for the many animals that came into their care. She has spent a lot of time around dogs, cats, small animals, and reptiles. 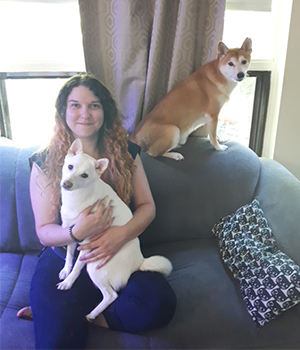 She spends her time outside of work with her partner and animal family of 2 dogs (Koga and Kome), 4 cats (Puzzle, Bella, Howard, and Lila), a ball python, and a leopard gecko.